As a singular flow in the space-time continuum, 2015 crested, then mired in unpredictable ways. The year began by launching Intrepid Guy to Japan for another stint just as I published yet another novel, Soundings, Water Elemental—this time through Booktrope. That vast ocean of social media became a marathon swim. 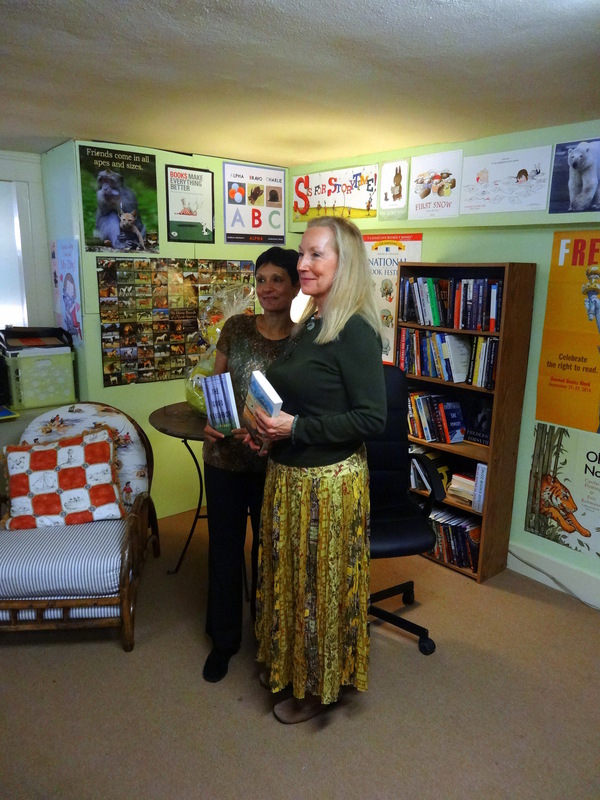 Still I virtually encountered booklovers along the way who I’d have gladly met for a delightful cuppa and conversation. 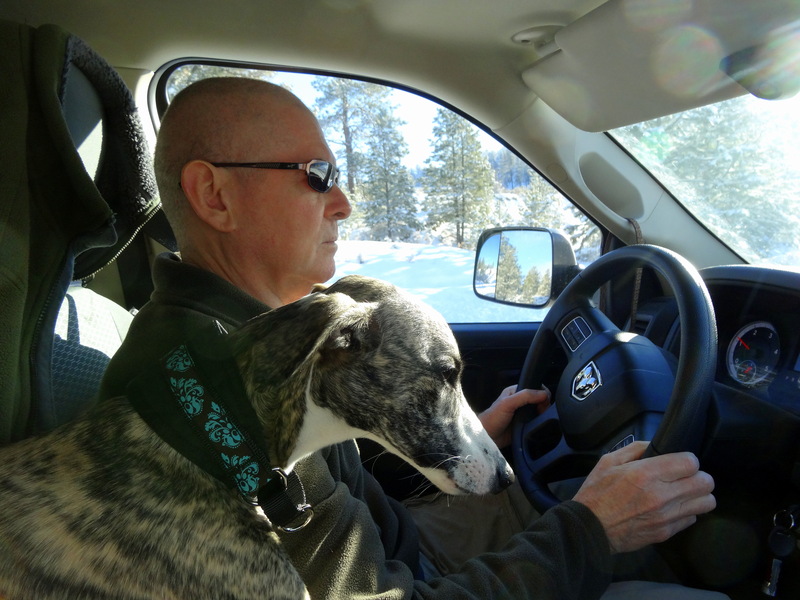 Then in March, I packed and brushed off my language skills for a month in Japan that ended when I picked Intrepid Guy up at the Penticton airport before driving him to a hospital in Wenatchee. This time his immune system attacked vital organs, requiring six-months of heavy immunosuppression followed by another half year of lighter drug therapy. As a bubble boy, what bothered Intrepid Guy most was the loss of his rafting season, especially one that included another run down the Grand Canyon. 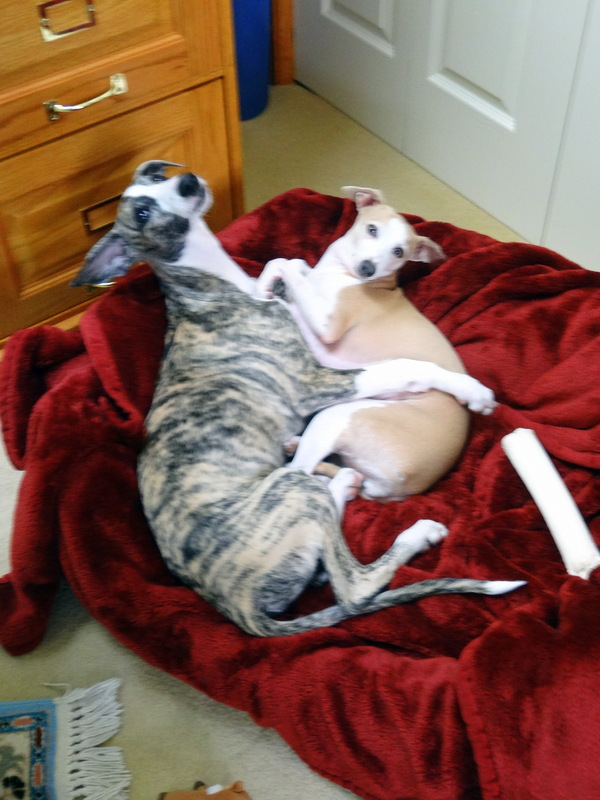 To compensate him for his loss, we adopted—wait for it—yes, a whippet puppy, Bodhilicious. Bodhi’s puppy shots coincided with Intrepid Guy’s first drug regime. And yes, we went there and shaved his head. He turns out to have a very nicely shaped dome, but you be the judge. 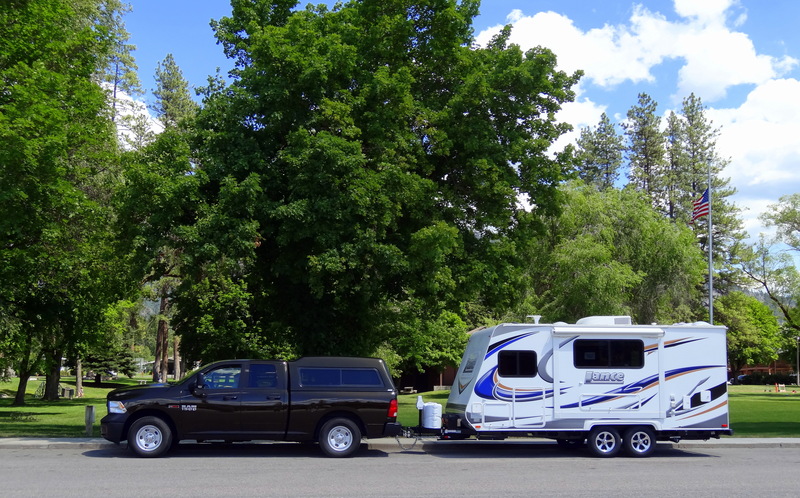 Both burst back into the world during a shakedown voyage for our 16’ Lance travel trailer as we made the rounds from home to Spokane to Wenatchee and back again. The trailer balanced beautifully with our Ram 1500 Eco diesel, so Intrepid Guy did a happy dance. 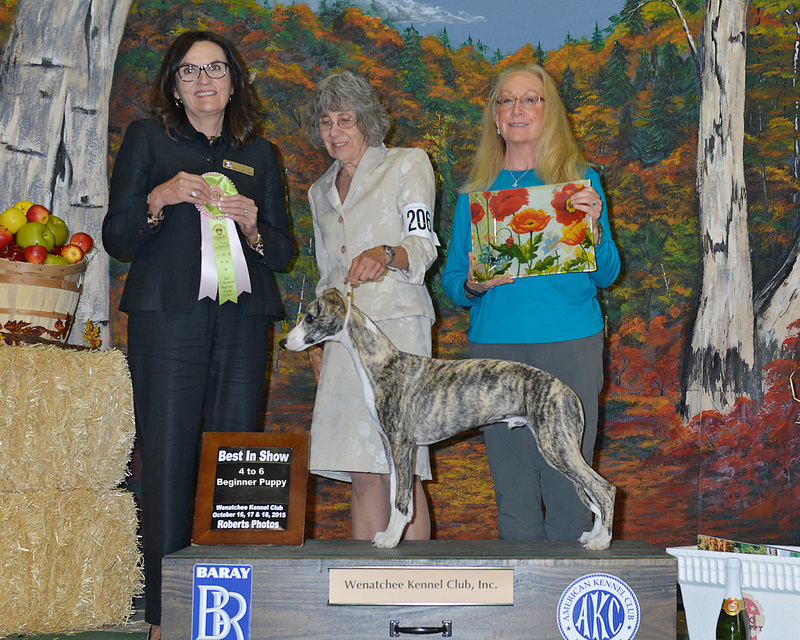 We also began socializing Bodhi and the AKC show in Chelan helped. We met very cool dog people plus gorgeous Bodhi took both Best in Class and Best in Show for puppies. Since this was a beauty contest, it’ll be his last. His big brain really needs a job and with his propensity for running through culverts—gasp!—agility training might do the trick. Our year of wildfires proved utterly predictable. 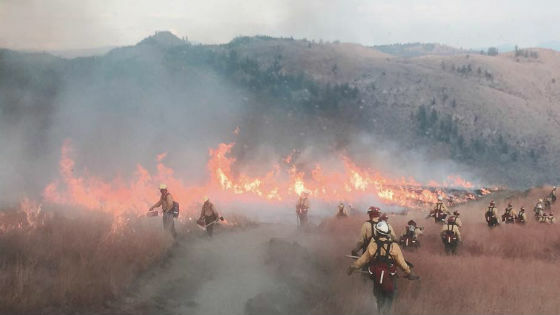 Canadian fire plumes began in April and our rugged landscapes can be problematic for firefighters. We bugged out during Level 3 evacuations as the 9 Mile Wildfire roared into being. Friends and neighbors lost outbuildings and homes to the inferno even as staunch firefighters stopped the blaze ¼ mile from our home. Air quality remained hazardous throughout summer and into fall. Recovery continues while winter snow and melt cycles cause slides along burn areas. Yes, I’m furious with Volkswagen’s intentional lies about our Golf TDI’s environmental impact. Yes, the polluting machinery sits in our garage as we lean into a buyout. Nothing less should be allowed. 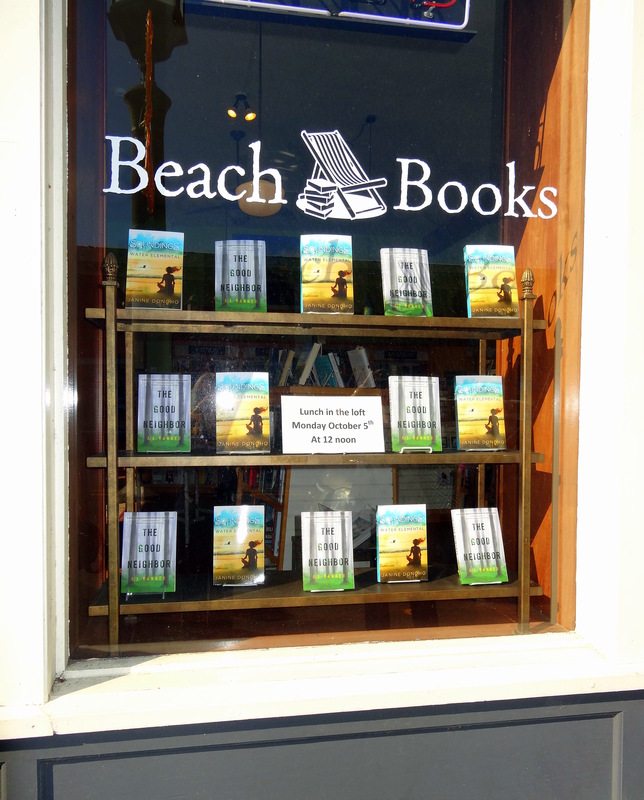 Still I drove the beast to Oregon this October for our Seaside writers’ retreat and book signing at the hospitable and brilliantly arranged Beach Books. As always, joy prevailed as I embraced the chance to hang with writers and make new friends. Please allow me to wish you all the most joyous of new years. May health and happiness infuse your lives. 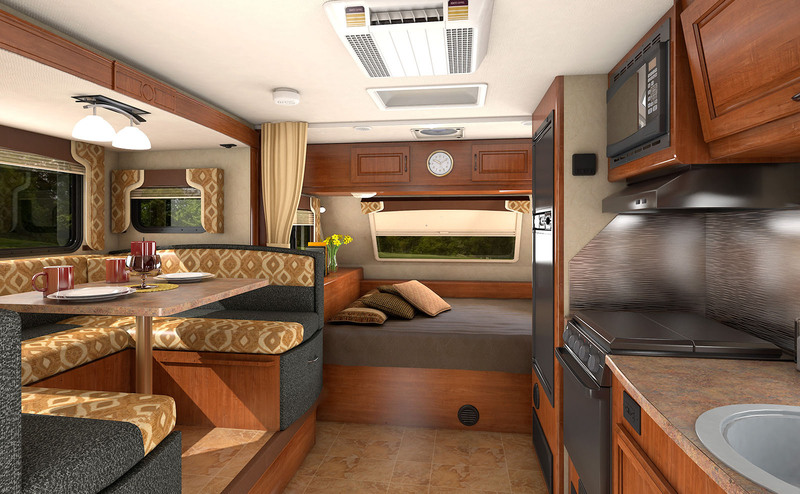 With our home-on-wheels, who knows? We may find ourselves in your neck of the woods during this coming year.